Today marks the 75th anniversary of the attacks on Pearl Harbor that killed more than 2,400 men and women. There's a new virtual reality experience that allows people to experience Dec. 7, 1941, in ways unlike ever before. 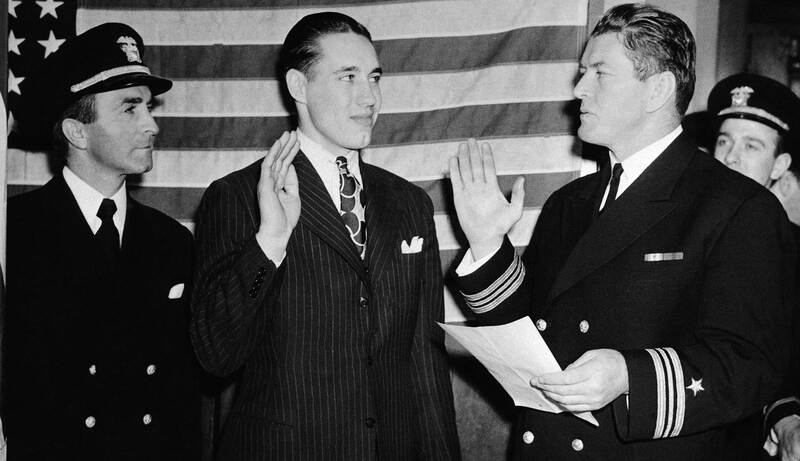 Here's a great story about athletes who ended or suspended their careers to enlist after the attacks, including Bob Feller (pictured above), and a spooky Pearl Harbor mystery that remains unsolved. Social media was flooded with many tributes to those who lost their lives, and did you know the 1942 Rose Bowl was moved from Pasadena out of fear of a coastal attack? With the continued growth of the MLS, we could see tons of new stadiums across the country, including some unbelievably glitzy ones in Los Angeles, St. Paul and D.C.
Cris "Cyborg" said the UFC recommended birth control pills that nearly killed her. The Baltimore Orioles aren't pursuing free agent slugger Jose Bautista because their fans hate him. Not kidding. Gee, I wonder why. A lot of people don't like Joe Buck for whatever unfounded reason, but there's no denying he's the man for once calling a Brett Favre touchdown pass...while peeing into a trash can. Worst mall Santa ever tells kid to lay off the french fries ... Unsurprisingly, James Harrison works out like a savage ... Lindsey Vonn looks exactly like Madonna sometimes, right? ... Burger King's Donut Whopper is arriving just in time for the holidays ... I'm trying to work on my posture. Turns out it's kinda important ... Agonzing ways your fantasy football team could lose in Week 14 ... Recent Heisman finalists you don't remember ... ICYMI: Teenager named Matt Rhule is getting blasted on Twitter for Temple head coach Matt Rhule leaving for Baylor.